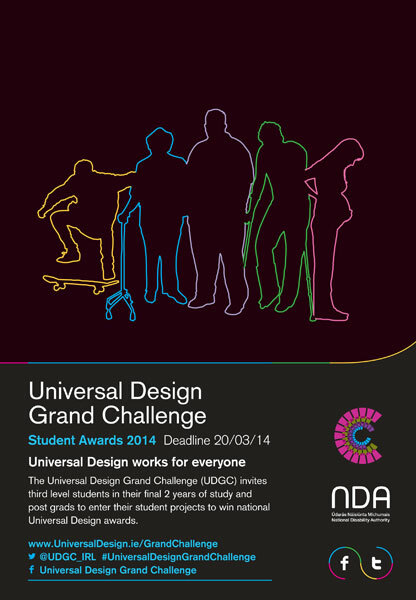 The Grand Challenge is a design competition that invites final-year and post-grad students from colleges in Ireland to enter their student projects to win national Universal Design awards. The selection procedure will involve an International Panel of Judges examining the work and creating a shortlist of projects. The students will then be invited to do a short presentation at the awards held in May where the overall winners will be decided on the night. The design for this project adheres to rigorous rules in relation to accessibility.